When Maurice Ravel in 1909 was commissioned by the ballet impresario Serge Diaghilev to write a score based on the ancient Greek novel Daphnis and Chloe, he decided to compose 'a huge musical fresco, concerned less with archaism than with faithfulness to the Greece of my dreams'. 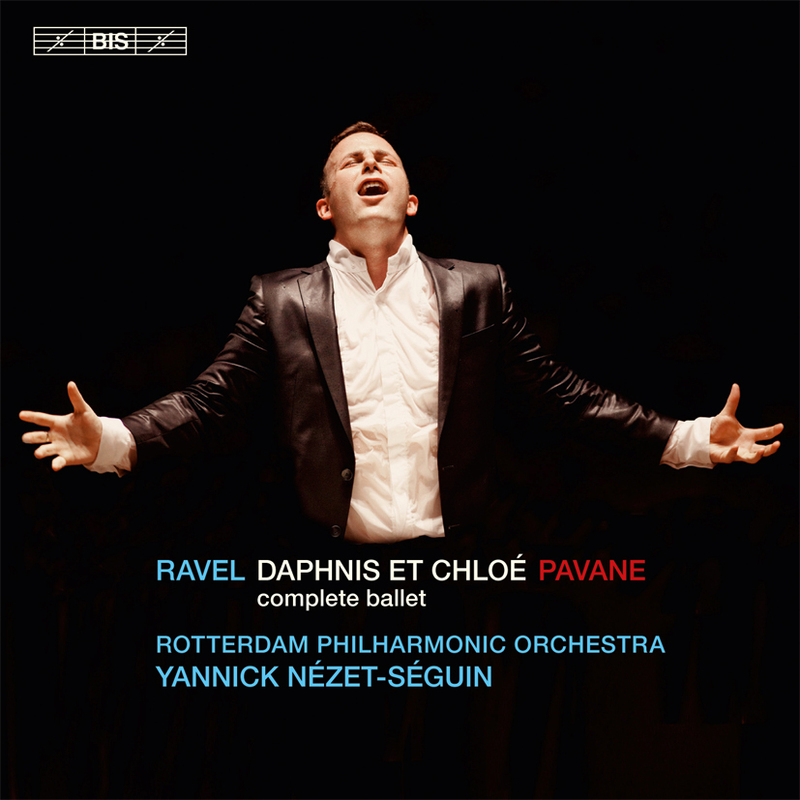 Three years later, when Daphnis et Chloé was first performed by the Ballets Russes, it had indeed grown into Ravel’s longest work, playing for about an hour and requiring a large orchestra with an extended percussion section, not to mention a choir. The first production was fraught with difficulties and the première in Paris was less than successful. It was only the following year, in London, that the composer received proper recognition for his music, which Stravinsky later described as 'not only Ravel’s best work, but one of the most beautiful products of all French music'. Ravel himself labelled it a ‘choreographic symphony’, and although he did extract two suites from it, the complete ballet score has also entered the concert repertoire. It is here performed by the Rotterdam Philharmonic Orchestra and Yannick Nézet-Séguin, a team with the best possible credentials for realizing the full spectrum of this sumptuous music – from the idyllic evocation of dawn in Lever du jour to the orgiastic Danse générale which closes the work. 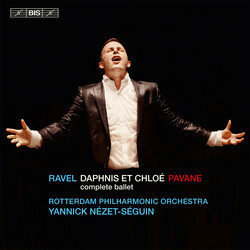 If Daphnis et Chloé is one of Ravel’s most highly regarded works, his Pavane pour une infante défunte is one of the most popular. The brief piano piece from 1899 was orchestrated by the composer in 1910, while he was working on Daphnis. Its profound melancholy has caught the imagination of listeners ever since, in combination with the poetic title – which was only chosen because of its agreeable sound, however: Ravel never had a particular dead princess in mind, and finding many interpretations too sluggish, famously remarked that the piece was not, after all, ‘a dead pavane for an infanta’.